Basics: Introduction to Zener Diodes « Adafruit Industries – Makers, hackers, artists, designers and engineers! Basics: Introduction to Zener Diodes @ Evil Mad Scientist Laboratories. Zener diodes are a special type of semiconductor diode– devices that allow current to flow in one direction only –that also allow current to flow in the opposite direction, but only when exposed to enough voltage. 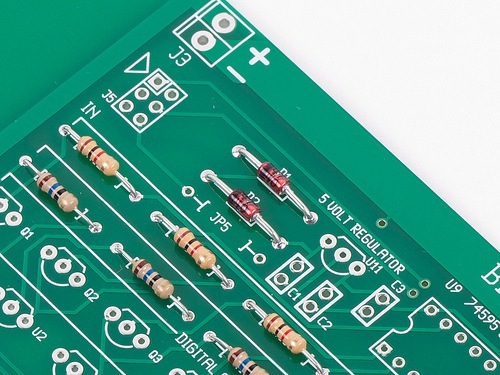 And while that sounds a bit esoteric, they’re actually among the handiest components ever to cross an engineer’s bench, providing great solutions to a number of common needs in circuit design. In what follows, we’ll show you how (and when) to use a Zener, for applications including simple reference voltages, clamping signals to specific voltage ranges, and easing the load on a voltage regulator.